The MUTEC MC-1.1+ is a unique piece of equipment to help you to convert problem-free between the most popular digital audio formats and interface standards: AES3 and S/P-DIF. Due to lots of operations modes, we are sure that the MC-1.1+ will cover also your conversion needs between these two formats. Due to the increasing number of devices with AES/EBU or AES/EBUid and S/P-DIF interfaces found in every studio environment, often a problem of different transmission formats and interface standards occurs mostly when those devices should exchange their digital audio data. 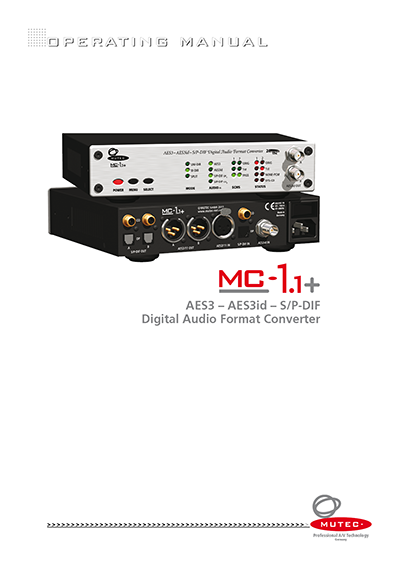 At this point the MC-1.1+ comes in and helps you to convert problem-free between the most popular digital audio formats and interface standards: AES3 and S/P-DIF. 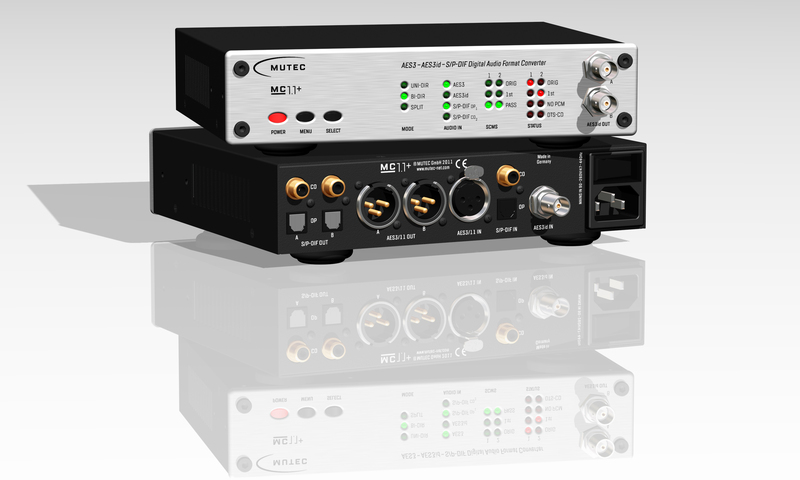 Using latest low-jitter audio PLLs and a low-noise PCB circuit design, the MC-1.1+ not only converts, but also regenerates and improves your digital audio signal with clock rates up to 192.0 kHz. Thereby, the format conversion process does not only the necessary electrical conversion but also a real format conversion of the reference signals in compliance with the specifications standardized by the Audio Engineering Society (AES) and the International Electrotechnical Commission (IEC). This feature truly helps you to avoid incompatibility problems of the used signal formats between the connected devices during conversion. Thus, you can rely on professional conversions with help of the MC-1.1+ in all respects! Various operation modes enable the use of the MC-1.1+ in many applications. Nearly every imaginable conversion between the involved formats is possible! 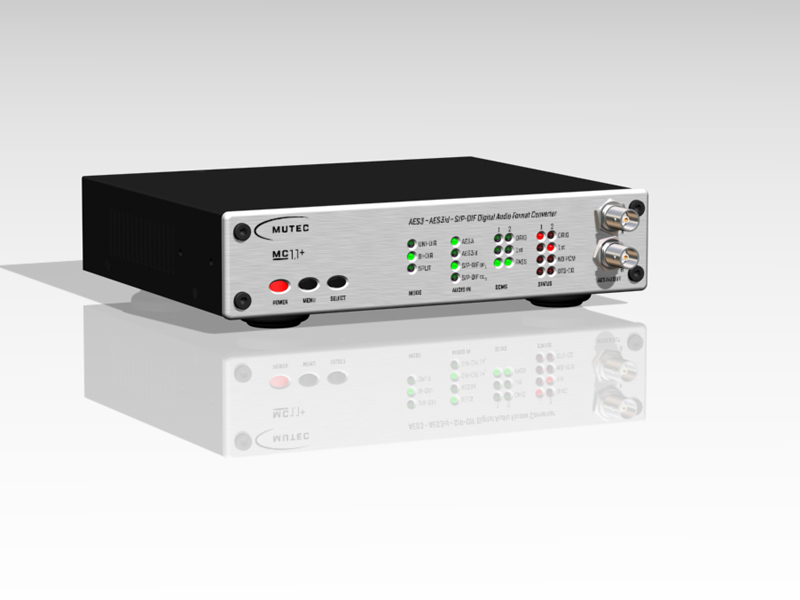 Incoming digital audio signals are uni-directionally converted to four output formats at once, whereas every format offers two outputs for additional signal splittings. 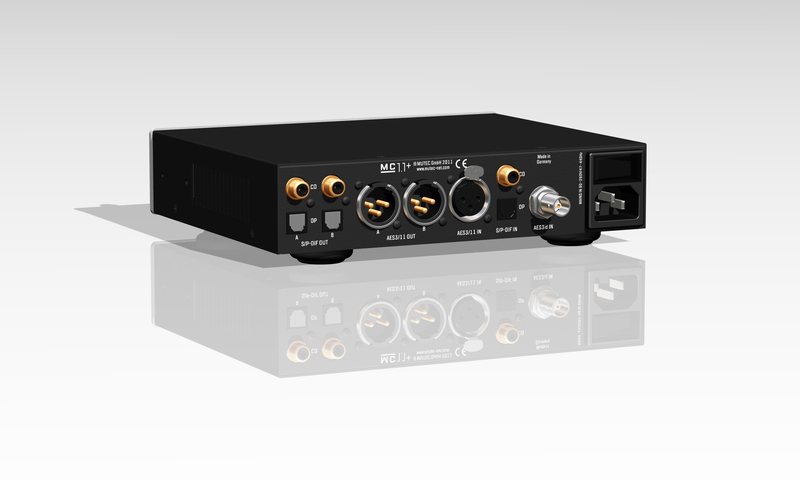 As for bidirectional format conversions, the MC-1.1+ provides real double circuitries which allow for the first time converting the formats of two signals even with different sampling rates at the same time. A special splitting mode offers to actively split four individual input signals to their respective double outputs simultaneously. 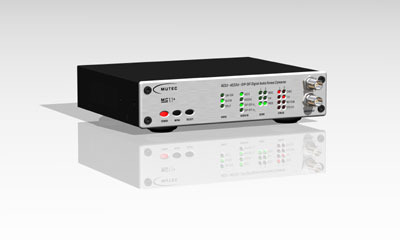 The SCMS status of S/P-DIF signals can be monitored and adapted in every operations mode. Thus, the MC-1.1+ offers highest flexibility to solve interconnections problems in your studio very easy and reliable! All inputs and outputs work between 32.0 kHz and 192.0 kHz.